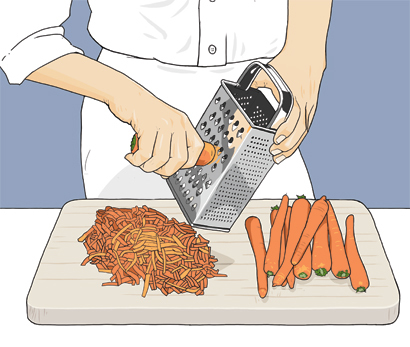 Oxford University Press asked me to create this set of small, simple illustrations for a lively, colourful book called Switch, aimed at 12-16 year old English language students in Spain. 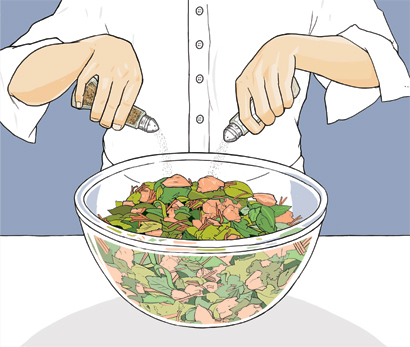 The images show different stages of preparing a salmon salad. 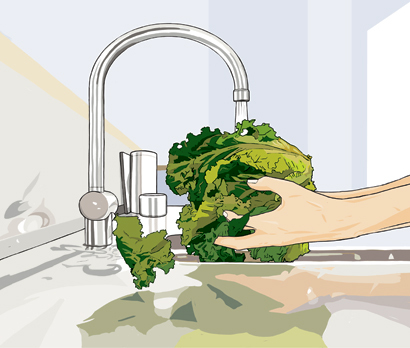 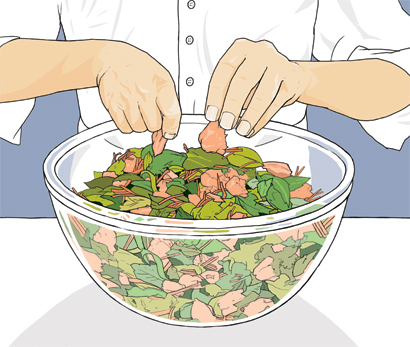 Wash some lettuce leaves under a tap. 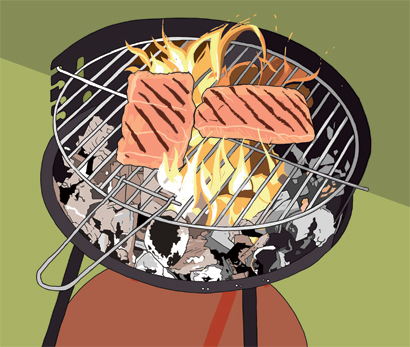 Grill some fresh salmon fillets on a flaming barbecue grill. 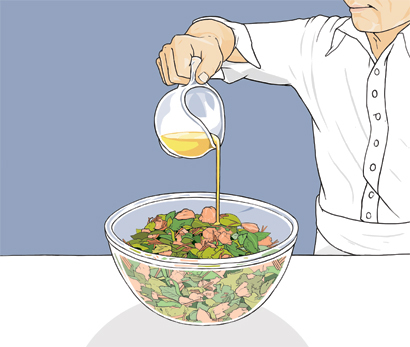 Add the chunks of grilled salmon to the lettuce and carrot in a salad bowl. 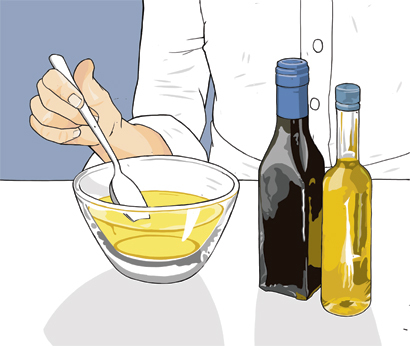 Mix vinegar and oil in a small glass bowl with a metal spoon.